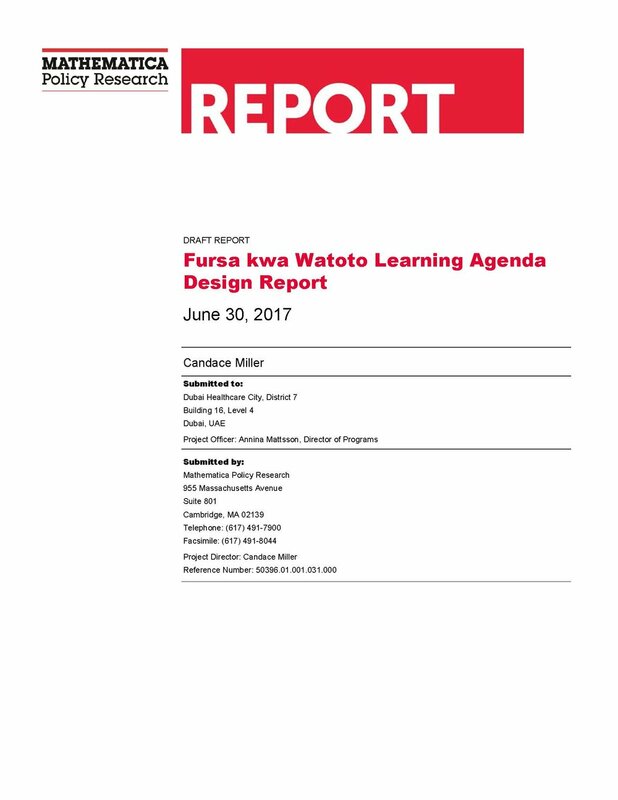 Recognizing the value of pre-primary education, Tanzania’s Education and Training Policy (ETP) calls for 1 year of pre-primary as part of compulsory basic education. The national Pre-Primary Curriculum was developed to target children age 5, however, the ETP states that children aged 3 to 5 years may enter pre-primary. The wide age range of students entering pre-primary has become increasingly problematic for several reasons. First, the curriculum is uniquely designed for 5 year olds given that both younger and older children have different developmental needs. At the end of 2015, Circular 5 established fee-free education. By 2016, enrollment dramatically increased, overwhelming classrooms and teachers, seriously hampering instructional quality. Although the enrollment rate was only 40 percent of pre-primary-age children in 2012, it climbed to 46.7 percent for 5-year-olds by the end of 2016. The gross intake rate climbed to 102.6 indicating that children younger than 5 and older than 6 years were enrolling. In fact, from 2015 to 2016, pre-primary enrollment increased by 47 percent in government schools. Country-wide, increased enrollment has overwhelmed schools, crowding classrooms and worsening already poor quality learning environments. The overcrowding also further exacerbates the persisting teacher shortage. 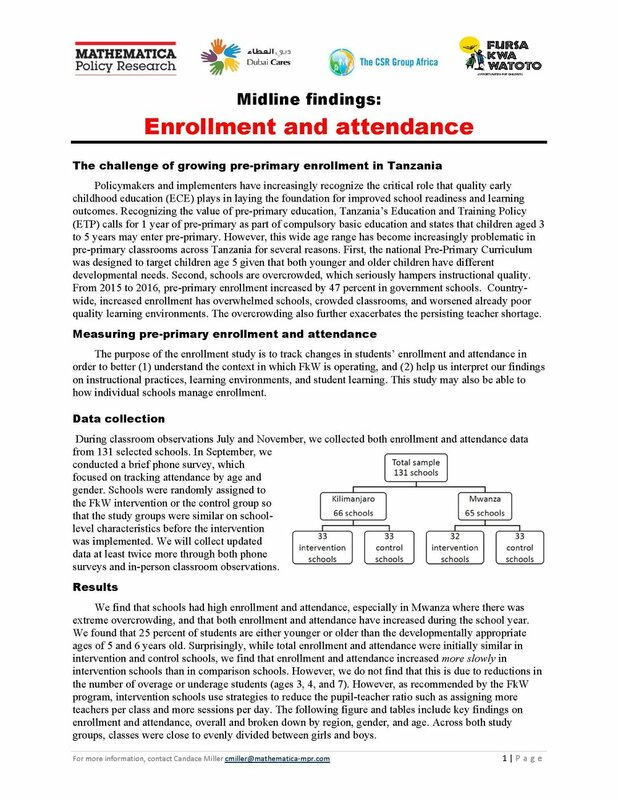 The purpose of the enrollment study is to track changes in students’ enrollment and attendance at multiple time points in the expansion schools. For this activity, we are collecting enrollment and attendance data by age, gender, and language in intervention and control schools in Kilimanjaro and Mwanza. Target pre-primary education to children aged 5 with specified dates for enrollment based on the month that a child turns 5 years. Clarify at the national, regional, district, and local levels that children older than 5 years should proceed to standard 1 in primary school. Further develop early learning and care options for children younger than age 5.